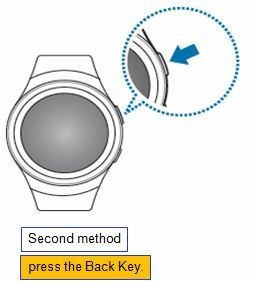 There are 2 methods you use to return to previous screen when using the Gear S2. Method 1. 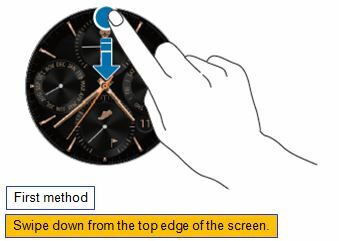 Drag the screen downwards from the top edge of the screen while using an app to return to the previous page. You can also go to the Clock screen when you drag the screen downwards from the top edge of the other Home screen panels. Method 2. Press the Back key. Gear S2: How does the Wireless charger dock works?